Pyeongchang, South Korea is setting the stage for the 2018 Winter Olympics, officially known as the XXIII Olympic Winter Games. Gangwon Province has transformed itself into a winter sports hub featuring 12 state-of-the-art venues that will host 102 medal events across 15 disciplines over the 17 days of competition. From February 9-25, you’ll be able to watch your favorite cold weather athletic events unfold on television and in person if you make the trek. But if you would rather use the Games as a source of inspiration and channel your inner athlete, here are five top spots around the world where your inner Olympian can take flight. The town in north Vancouver, British Columbia is the perfect spot to live the Olympic dream. It’s home to Olympic Park, a venue that played prominently in the 2010 Vancouver Winter Olympics. Whistler is also home to Whistler and Blackcomb mountains, where you can find one of the largest ski resorts in North America that boasts over 8,100 acres of snow-covered slopes, 16 alpine bowls, 3 glaciers, world-class terrain parks and 200+ marked trails. Hitting the slopes with your own gear is easy when you on shipping skis to Canada with Luggage Free. Especially for the Games, Whistler is offering special activities like biathlon, bobsleigh, skeleton and xc skiing. The Games will also be broadcast on big screens in Whistler Olympic Plaza and in venues around town. Vail and Beaver Creek, side-by-side ski resort towns, are low key winter getaways. Vail, the larger of the two, is also unassumingly one of the largest winter sports resorts in the world with more than 5,200 acres of ski and snowboard terrain. Beaver Creek offers 1,832 skiable acres with 150 trails and 24 lifts. The quaint mountain town in eastern Utah just said goodbye to the annual onslaught of cinephiles and Hollywood elites who attended the 2018 Sundance Film Festival, and now swings into high gear for outdoor pleasure seekers. Skiing is king at the popular Utah resort destination, which sits just 35 miles outside of Salt Lake City. This season is the first for Park City Mountain Resort, which was formed from two of the town’s resort to make one of the largest ski areas in the United States, connected by the Quicksilver Gondola. You can also enjoy two new lifts, restaurant upgrades, and enhanced snowmaking capabilities. Park City is also home to Deer Valley Resort, which is a skiers only mountain, offering everything from uniformed ski valets to limited lift tickets sales and perfectly manicured slopes. Les Deux Alpes ski resort in the French Alps is situated on Europe’s largest ski-able glacier — 3,600 meters high — and is one of the biggest and most well-known ski resorts in the world. Les 2 Alpes was built in 1946 on the former high pastures of Venosc and Mont de Lans, two parish villages in the Isère where the northern and southern Alps meet. 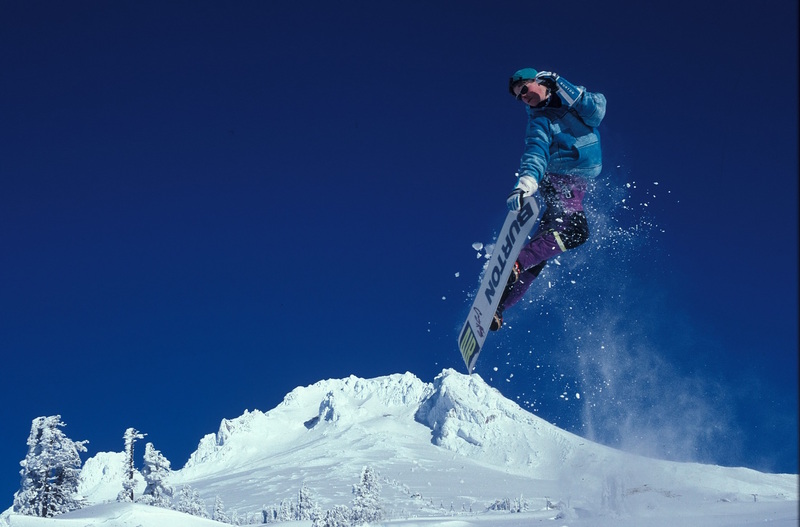 It offers nearly 140 miles of ski runs, in addition to a super-pipe, air bag, rails, tables and freestyle modules. The former silver mining town draws throngs of well-heeled visitors from celebrities to musicians to stroll its shops, indulge in dining, and embrace the outdoors doing everything from hitting the slopes, to cross country skiing and snowshoeing. The upscale Rocky Mountain oasis is especially renowned for its world-class skiing and snowboarding on four mountains at Aspen Snowmass Ski Resort. The resort is made up of Snowmass, Aspen Mountain, Aspen Highlands, and Buttermilk that combined offer 5,303 total acres of skiable terrain, eight terrain parks and 336 trails served by 46 lifts.